* two VTT trails from La Guyonnière, 10 and 16 km for you to discover the vineyards and orchards, one of the two joins the Loire passing the lime kilns. Possibility of a 26 km loop. See the circuits available at reception. 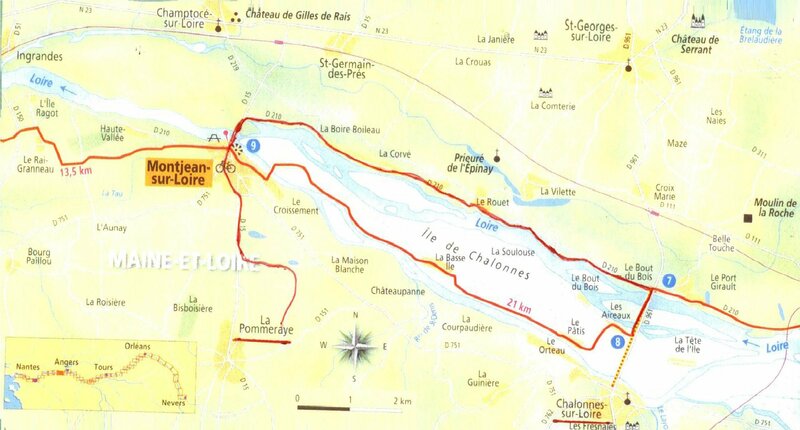 *Tour of l’île de Chalonnes sur Loire (26 km loop). From La Guyonnière take a trip to discover the Loire, see beautiful unexpected places and landscapes and cross the l’ile de Chalonnes, the largest inhabited island of the Loire. 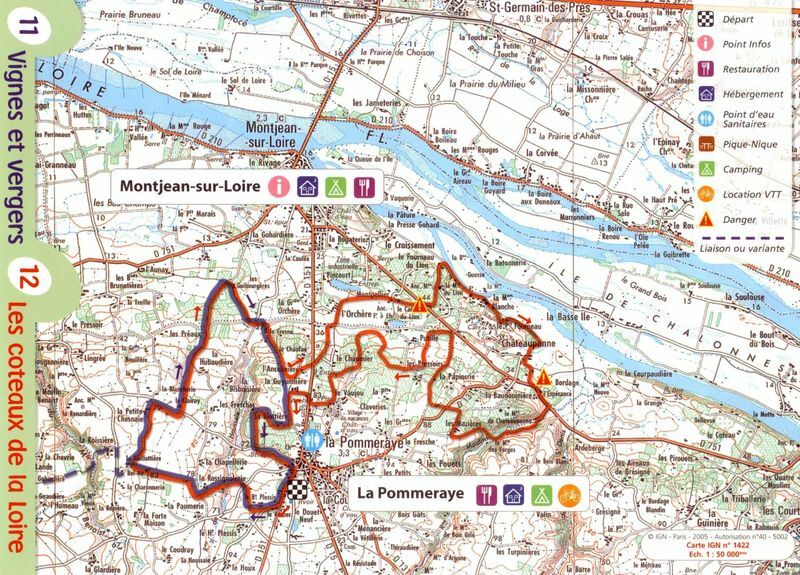 * without forgetting the "Loire by bike"
Anjouvéloc’ reste à votre disposition pour vous proposer d’autres circuits VTT ou en bords de Loire.